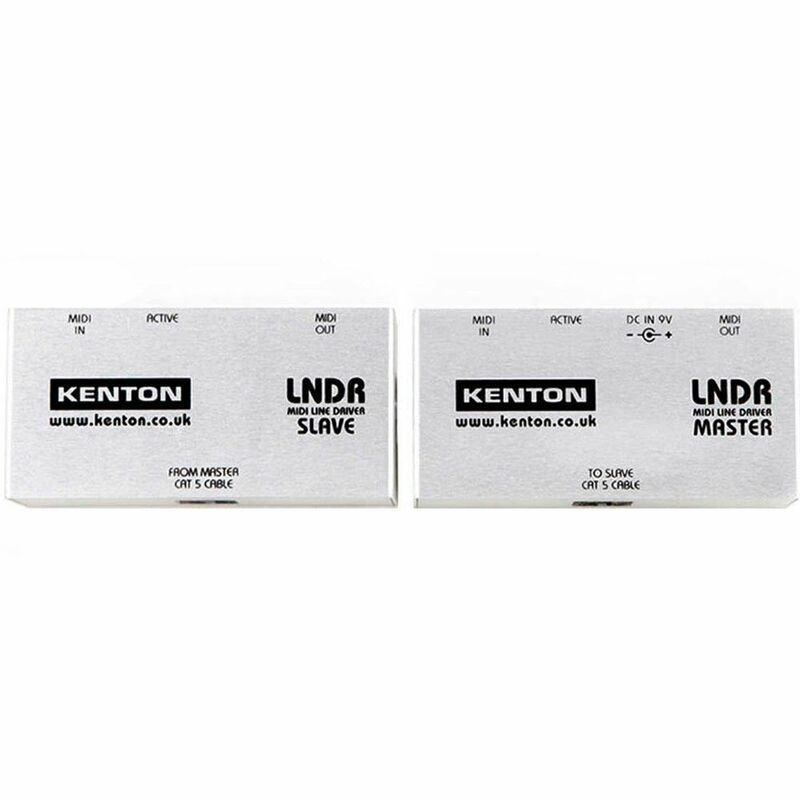 The Kenton LNDR is a master and slave pair that allows MIDI to be sent accurately in both directions at the same time, across distances of over 500 metres (1640 feet) using a standard CAT5 cable. This is over 33 times the distance achievable using standard MIDI cables. The Master unit is mains powered using the included PSU. Cat5 cable is not included (we don't know what length you need!) but can be purchased from Studiospares in a variety of lengths and colours.